117 East 37th St. New York 17. 1962 Sept 17. 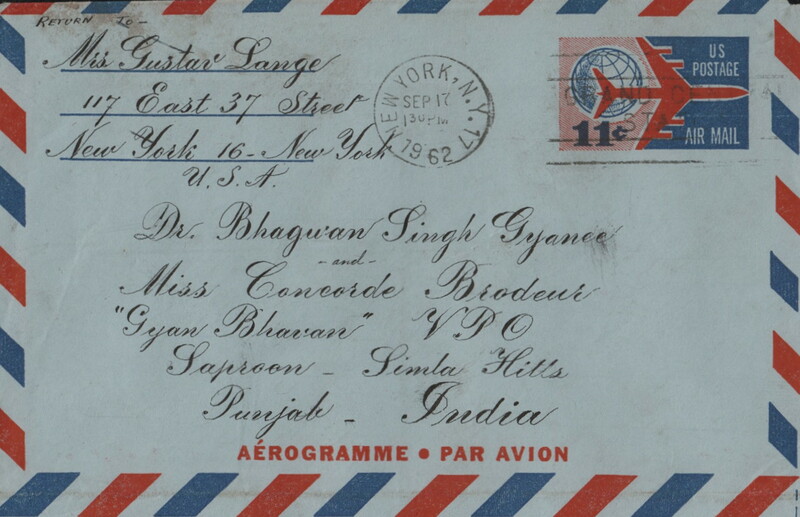 1962 Dear Dr. Gyanee Dear Concorde- I am deeply concerned at your long silence Concorde and am taking this means to get news of you as your last note was written, August 1st Rec’d. 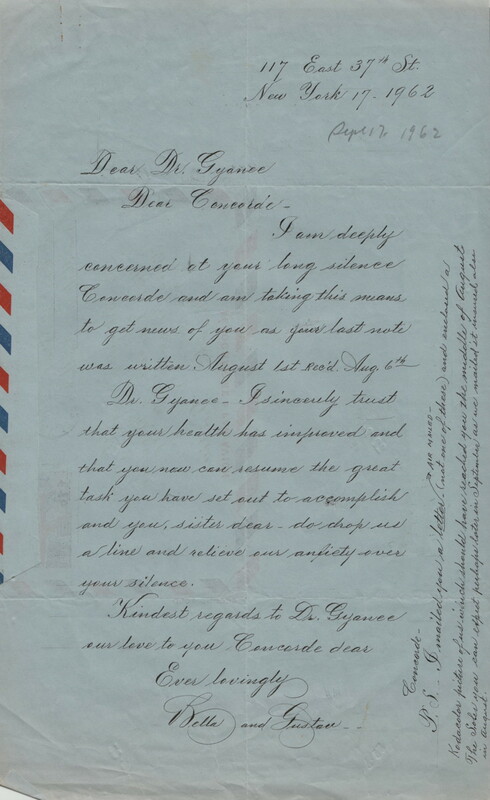 Aug. 6th Dr. Gyannee- I sincerely trust that your health has improved and that you now can resume the great task you have set out to accomplish and you, sister dear-do drop us a line and relieve our anxiety over your silence. 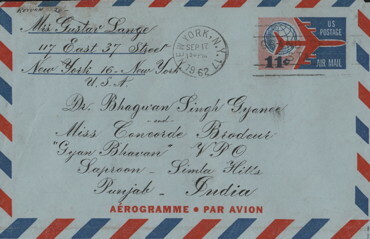 Kindest regards to Dr. Gyanee our love to you Concorde dear Ever lovingly Bella and Gustav Concorde- P.S. I mailed you a letter. AIR MAILED- (not one of these) and enclosed a Kodacolor picture of us- which should have reached you the middle of August. The Soles you can expect perhaps later in September as we mailed it insured also in August.